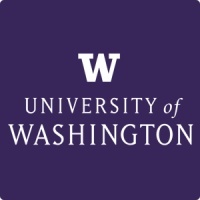 The University of Washington, commonly referred to as simply Washington, UW, or informally “U-Dub,” is a public research university whose largest and original campus is in Seattle, Washington, United States. Founded in 1861, Washington is one of the oldest universities on the West Coast. The university has three campuses: the oldest and largest in the University District of Seattle and two others in Tacoma and Bothell. UW occupies over 500 buildings, with over 20 million gross square footage of space, including the University of Washington Plaza, the 325-foot (99 m) UW Tower, over 26 university libraries, as well as numerous conference centers. NOTE: CosmoLearning is not affiliated or endorsed by University of Washington. This page is only intended to credit this content provider for their educational content being included on the CosmoLearning site.